As the Beijing rush hour gets going every morning, a dusty-grey armoured vehicle pulls up outside the Sanlitun branch of the Industrial and Commercial Bank of China and disgorges its box of money protected by armed guards. There is nothing unusual in this it's a mundane event repeated twice a day outside 30,000 ICBC branches. Analysts believe there are more than 150,000 bank branches in cities, towns and villages across China. The sheer spread of the branch network represents. a formidable logistical challenge and financial strain on the Chinese banking system. As a consequence of their extensive network, Chinese banks are more exposed to the country's inadequate distribution channels than any other sector of the economy. For an example of the inefficiency of China's distribution industry, it is telling to look at coins in circulation. While Beijing residents rarely receive coins as change, Shanghainese walk around weighed down with pockets full of coins. The simple reason for this is that the old British-built mint in Shanghai is still operating but there is no such operation in the capital. Chinese banking officials hope that new technology offers opportunities to transcend 'the physical branch and thus unleash tremendous efficiency savings for their banks. Telephone banking services are becoming common, to the extent that it is possible to pay for a range of utility services over the phone. Customers can even establish a pay-as-you use account to settle telephone charges. Prompted by an explosion in internet usage, Chinese banks have started seriously planning for internet banking and developing the payments to support e-commerce. Though they can provide no figures, bank officials say that they hope to start reducing front office personnel and branches within five years of offering full e-commerce products. One of the major drawbacks for the development of e-commerce in China is the dearth of `true' credit cards in circulation, a consequence of the lack of a credit law and the limited credit assessment capabilities of the banks. Whatever they might look like, the vast majority of cards are actually debit cards. They can be used for electronic transactions but they are rather cumbersome. On the technology front, the government has established the China Information Highway group which includes the national banks, the Ministry of Information Industry and China Telecom to discuss and define standards to create e-commerce infrastructure in China. It is estimated that there are currently some 3.8 million internet users in China, up from fewer than one million at the start of last year. According to some estimates, by 2001 there will be more than 8m users. Last October, Bank of China ventured on to the internet in a bid to capture the renowned spending power of the country's ‘one child' generation. It launched a youth-oriented credit card on the web. The Chinese-language site, which was developed by Grey China Advertising, allows the bank to sign up new customers and deliver all the bank's communications, such as online newsletters and details of special offers via the web to consumers. The first pioneering attempt at mass marketing over the web has already been established. A Shanghai bookshop, Shanghai Bookmall, recently launched the first ‘secure electronic transaction' network with the help of Visa and the Bank of China. Also in Shanghai, an online music store accepts payments from cardholders with the local branch of the Agricultural Bank of China. The Shanghai bookstore says it hopes to play a similar role in China to Amazon.com in the US: trailblazer for electronic commerce. How fast it does so depends largely on how quickly the Chinese banking system can develop its network. "After seeing the big numbers that have been done in the US in the last couple of quarters, not just the technology guys but the senior executives have bought into the need to develop internet banking solutions," says Mr. David Wolf, managing director of Claydon Gescher, a Beijing consultancy. Some banks are already offering an internet banking service. China Merchants Bank, a second-tier institution with close links to the Ministry of Communications, issues cards in four cities which allow users to make payments online. According to Wolf, the key to an internet banking take-off in China will be the establishment of a central transaction processing centre. If the four big banks – Bank of China, Industrial and Commercial Bank, Agricultural Bank of China and Construction Bank – could unite behind a single payments settlement system, they and other smaller banks could quickly role out new services across the country. The ‘Golden Card' project, which Beijing established to introduce integrated circuit card technology, provides the basis for the system. The 12 data hubs established under the supervision of the central bank to support the Golden Card project have enabled banks to launch the first crop of city- and province-wide ATM networks, as well as electronic cash, credit and debit programmes based on recently defined domestic and international standards. Mr Liu Yongchun of the People's Bank of China says the central bank will promote Visa's Open Platform as the industry standard for payment systems among Chinese banks. "We believe that the best approach is to support a common industry-wide platform – such as the Visa Open Platform – which provides choice and flexibility while protecting banks' existing and future investments. Importantly, it allows banks to move to the new technology at a pace which best suits them," he says. 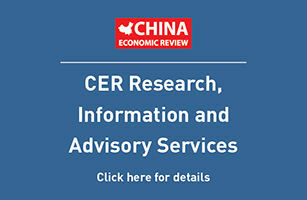 Wolf believes that Chinese consumers' innate conservatism means that bank-issued credit cards will not become the dominant means of payment in electronic commerce transactions. He foresees a period in which credit cards, debit cards and cash cards will vie with cash-on-delivery as payment methods for e-commerce. Banks will face strong competition from the post office, which is not only promoting its own debit card but already operates a cash-on-delivery service for home shopping television channels which guarantees settlement for the supplier within 10 days. "Any business lives or dies on its cash flow. The post office express mail service delivers payment faster than a credit card," he says. "The fact that the customer does not lose control of a number is a big positive in a part of the world where cash on delivery is the preferred means of payment." Chinese attitudes to east Africa are changing and an increasing number of Mainland enterprises are looking to invest in the region, including the agriculture, construction and consumer electronics sectors. Chinese government policy in Africa is changing in a profound way. The continent is still an important source of raw materials, such as copper from Zaire and Zambia, but direct investment by manufacturers looking to tap the local market is starting to become a more important factor. Construction and engineering projects are also more likely to be evaluated on commercial merit rather than in helping to prop up regimes that support Beijing over Taipei in the game of political recognition. With state enterprises under pressure to make profits in the international marketplace, projects must be commercially viable. Anticipating growth in east Africa's new economic community, more and more Chinese companies are coming to Kenya, positioning themselves for new opportunities in a bigger regional market. More than 80 million people in Kenya, Tanzania and Uganda are well on their way to economic union, with Rwanda and Burundi close behind. The Chinese economic and commercial counsellor in Nairobi, Zhang Guanghui, says it is a great time to invest in Kenya as Beijing moves away from development aid towards more direct investment in business partnerships. "After independence [in 1963], it was mostly government-to-government technical assistance," Zhang says. "But Africa is changing, and if we continue with the old mentality while Africans are talking about privatisation and regional trade, who will implement these huge capital-intensive projects? Accordingly, the Chinese government is changing its approach to Africa by encouraging businessmen to find local partners for local investment." That transition has not always been easy. In Kenya, Zhang says the Chinese government helped establish a glass sheeting factory eight years ago, but now that the market has changed, the glass project has been dropped because it is no longer profitable. There is still plenty of traditional trade in low-end consumer goods including shoes, hurricane lanterns, mosquito coils, hand tools and knives. But demand is limited and Zhang is much more optimistic about Kenyan agriculture, where the soil is rich but production remains far below capacity. "Kenya is still basically an agricultural country, and I believe conditions for agricultural development here are very favourable," he says. "With a good climate all year round, Kenya should be exporting food grain throughout Africa. But because of problems with marketing and irrigation, importing seeds and fertiliser, there is not enough surplus for export. With this weather in China, we could have three crops a year. Here, there is only one." Moving into Kenya's profitable sugar market, China Overseas Engineering and Contracting Corporation has signed a memorandum of understanding with the Kenyan government to build a sugar mill in western Kenya. Once its preferential, interest-subsidised loan is approved by Beijing, the firm intends to build a mill that can crush more than 2,000 tonnes of sugar cane a day. With potential growth in irrigation technology, fertiliser and poultry farming, Zhang says Kenyans can benefit from China's experience in making agriculture the backbone of its economy. "Kenya would do well to focus more on agriculture," he says. "Even with such fertile land, there is a lot of work to do to achieve food self-sufficiency. Here, there is great opportunity for Chinese firms to help Kenya expand agricultural production." One of the companies investing in Kenya's agricultural future is China Road & Bridge, China's largest road and bridge construction group amalgamated in November 1997. With a massive irrigation project underway in Kenya's Tana River Delta, general manager Wang Xiaoguang says the firm sees great potential in boosting Kenyan agriculture by improving infrastructure and training farmers in more modern methods of cultivation. "The natural conditions here are better than in China," Wang says. "The local farmers need training, they have to learn new methods of farming. They also need investment and a good government policy to encourage farming, but the potential for rapid growth is there." From its African headquarters in the Kenyan capital, China Road & Bridge has also been involved in more traditional construction projects, including a power plant and harbour in Mauritania, an airport in Rwanda, bridges in Sudan and Zambia, and highways in Madagascar, Tunisia, Burundi, Congo, Cote d' Ivoire and Rwanda. The group is building a US$60m ring road around the Ethiopian capital, Addis Ababa. In Kenya, China Road & Bridge has more than US$ 100m-worth of ongoing projects, including 200km of coastal road and 150km of Kenya's most important transport route, the A-109 road from the port of Mombasa to the capital, Nairobi. Though controlled entirely through China's Ministry of Communication, Wang says China Road & Bridge is under as much pressure to turn a profit as any wholly-private firm working in Africa. Based in Nairobi since 1984, he says the group has patiently built itself a reputation for quality work. "As a commercial enterprise, we are out to make money," Wang says. "The first issue was establishing a good image. In the beginning, we had a strategic policy not to seek big profits, but to invest in our name. We attach great importance to the quality of our work, even if the profit margin is very small. That quality is seen by the local government and the people who use our roads and that has led to bigger contracts. Making a long-term investment in Africa depends on establishing a strong image." China Road & Bridge employs more than 2,000 Kenyans and 100 Chinese nationals in Nairobi. Wang says a big part of being profitable in Africa is keeping those employees happy a long way from home. There is volleyball and basketball in the Road & Bridge compound along with Chinese television on satellite, a Chinese cook and a Chinese doctor. Family members come to Kenya for holiday at the group's expense. There are safaris to Kenya's national parks, table tennis tournaments, and festival days. "At the moment, not many Chinese companies realise the potential market here," Wang says. "They focus more on Southeast Asia. In contracting, there is heavy competition in the crowded markets of Europe and Asia. Here, the potential profits are profound. Contractor prices are reasonable, labour costs are low, and the level of technology is basic – meaning Chinese equipment is valued because it is easy to operate and easy to fix." Design changes and heavy recent rains have inflated construction costs on a 140km road project near the western town of Kisumu. Unable to pay its share, the Kenyan government asked Beijing to cover its portion of the project on top of the already-substantial Chinese contribution. "China is also a developing country," Zhang says. "Because we need finances to develop ourselves, the assistance we can give is less than the West. So we are encouraging mutually beneficial business partnerships rather than direct assistance. It is a poor friend helping another poor friend." Kenya's economy has suffered over the last few years with corruption, mismanagement, political unrest and poor harvests driving down the value of the Kenyan shilling. The economic growth rate since 1990 is only about two percent. That has forced commercial groups such as the construction group holding company China Jiangsu International to look elsewhere for projects, even as far as low-income housing projects in Angola. The computer manufacturer and services provider Neo King Take, a joint venture between Dahua Electronics and China Enterprises Network, is going against that trend with a possible US$40m investment in Nairobi's duty-free Rafiki Export Processing Zone. The idea for the project began when the Kenyan embassy in Beijing bought Neo King Take computers and suggested they open a plant here. With branch companies in Egypt, Nigeria, Zambia, Sudan and Ghana and plans to expand production to Uganda, Tanzania, and Ethiopia, Neo King Take says Kenya is an obvious choice for future growth. General manager Tony Hui Xu says it is considering investing here because of Kenya's economic strength, its commitment to development, and its position to exploit both the African and the Middle East computer markets. "Kenya is playing a very important role in Africa, and its information infrastructure is growing very fast," he says. "Kenya is also strategically placed and will therefore open up the market for King Take products in the region. We have conducted market studies in several African countries and found that Kenya has a large potential for computers." The King Take plan is to import almost all its materials, starting with fewer than 100 employees, then slowly growing to 1,000 as production expands. Some 20 percent of the computers destined for the Kenyan market and 80 percent for export within Africa and the Middle East. Industry analysts say the proposed investment faces several challenges. First, King Take does not yet have enough demand in Africa and the Middle East to support 80 percent exports from Kenya. Second, the domestic market itself is soft, with IBM already well established and few families here able to afford a personal computer even if they had regular power supplies at home. Xu says King Take plans to overcome these obstacles by selling Kenyan-made computers at lower prices. He says they will offer a three-year warranty with free parts, free service and free training. King Take will also try to build itself a market in Kenya by donating educational software and 100 computers to the Ministry of Education, along with training centres in selected primary schools, high schools, colleges and universities. Breaking into high-end consumer electronics in Africa is difficult, Zhang says, because so much of the continent still operates on standards established by former colonial powers. "Politically, African countries are independent, but economically they still have very close relations with Western countries; they are used to the technology of West-ern countries," he says. "Telecoms in China is developing very fast with very high quality, but our high-tech sector is not yet exposed to the world. We are already second in the number of lines and phone sets, but Africans responsible for telecommunications are trained in the West using Western standards." "They are often surprised that China is producing what they need at competitive prices," Zhang adds. "Britain is still the largest trading partner for Kenya, so if China wants to export pharmaceuticals, for example, registering here is very hard because the standards are inherited from Britain." Wang says China Road & Bridge has overcome those obstacles by training engineers in Britain to become familiar with different measurements, standards, and specifications. For smaller companies without that advantage, Wang says working in Africa can be difficult. "Lots of Chinese companies now realise that things are different outside the country, and if they want to compete, they have to change," Wang says. "As other countries invest in China and bring their standards, we can learn those standards and be more competitive in international markets." Encouraging investment is also complicated by Africa's image as a continent in turmoil, unsafe for Chinese workers or investment. "Before you come to Africa, the picture is one of instability, famine and disease," Wang says. "But when you come, you realise that the situation is not what you thought before. The weather in Nairobi is great. There is less pollution than Beijing. Kenyans are very friendly and we have had every support from the government." With the help of African embassies in Beijing, Zhang says the Chinese government is educating commercial leaders about investing in Africa, trying to ease some of their misconceptions about doing business here. "Most Chinese executives know very little about Africa," Zhang says. "Through the media, they see fighting and famine. That makes many people hesitant about investing here. But Africa is a huge market, untapped in many areas. Chinese businessmen should come to Africa and know Africa."